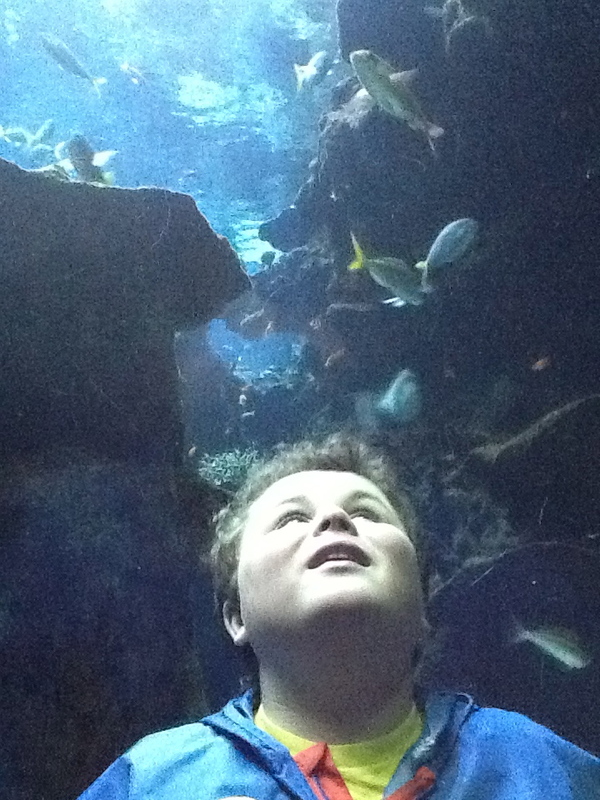 My son Leo and I are members at San Francisco's California Academy of Sciences for two reasons: 1) We want to support fabulous, hands-on science, and 2) We depend on members-only early entry hours so we can avoid the crowds and noise that don't always mesh so well with Leo's exuberant autism and his favorite CalAcademy routines. 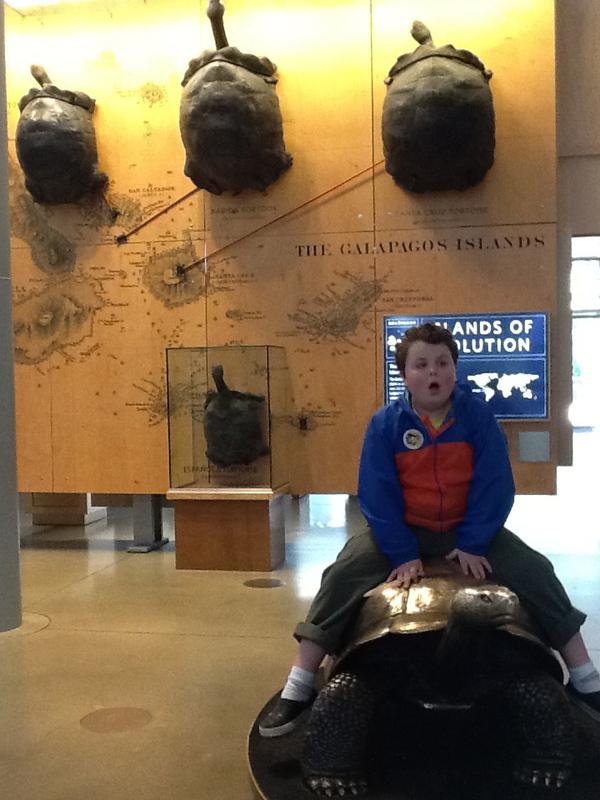 Though our CalAcademy trips are usually happy ones, today's visit was a bit bumpy. Leo's autistic behaviors -- his loud squeals of happiness while watching his beloved Planetarium show, for instance -- started disturbing other visitors, so we left the show before anyone could complain. It wasn't a total wash -- we still enjoyed grokking with the fishies in the Aquarium, riding the elevator from the Living Roof, and partaking in the obligatory Tortoise Photo Op. But not being able to stay in the Planetarium show got me thinking. Highlight existing autism- or sensory-friendly (or unfriendly) features. When are your periods of lightest traffic? If they are during members-only hours, emphasize this! Are there quiet areas where overwhelmed patrons can retreat so they don't have to leave? Map them! Where are the noisiest areas, when are the noisiest times? Diagram them! Hold periodic autism or "all abilities" showings at planetariums or IMAX theaters. Leo is not the only person who adores immersive audio/visual experiences yet has trouble sitting still and/or keeping quiet. Why not get a whole room full of his fellow whoopers & fidgeters together? This wouldn't exclude other visitors, of course -- but they should be informed that noise and movement will be tolerated. Have center-wide autism or all abilities events. The San Jose Children's Discovery Museum holds "Play Your Way" events several times each year (the next one is this Saturday, April 20th), and a few years ago the Exploratorium had a autism-only family night (the new Exploratorium opens today, in its much more sensory-friendly space). Connect with those organizations, find out how they made their events happen. Implementing any of these suggestions would be so helpful for the many, many autistic people and autism families who never even go to CalAcademy or other science centers because they don't feel accepted, or accommodated; who don't have Leo's thick skin and relatively high tolerance for sensory inundation. If you have additional suggestions for ways to make science centers more safe and welcoming for autistic people and their families, please leave a comment. And CalAcademy folk -- if you're reading this and want to talk further, I'd be delighted and so would Leo.